In IPK, Research and Development are continuously and endlessly advancing while expanding as well. 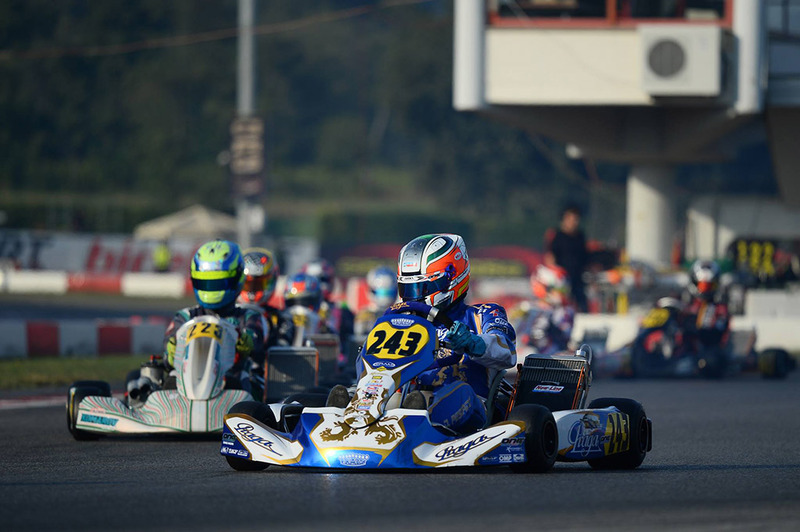 Even in the years when the new frames refer to homologations already in progress, the official racing teams of the Praga Kart, Formula K, OK1 and RS brands continue to be tested, in the main international competitions, solutions aimed at improving the adaptation ability of the chassis to the track according to the type of tires used. Analyzing the actual production phase, the first operation necessary to implement a racing kart frame is that of cutting the tubular pipes. The precise measurement where to execute the cut is communicated by the automated tubular pipe bending machine, which also takes into account the stretching of the material that will take place during the bending phase, which varies depending on the type of tubular material utilized. Besides guaranteeing perfect uniformity amongst the different production lots, this precision allows IPK to optimize the amount of material needed. 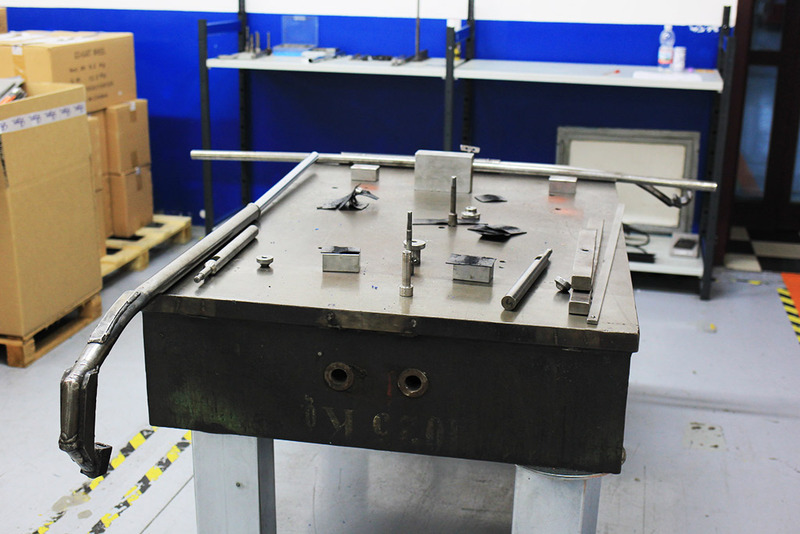 IPK Karting has invested heavily on the tube bending phase by utilizing an automated bending machine which allows them to achieve tolerances within a tenth of a degree in the angle of a bend. The system is electrically operated, thus eliminating hydraulic systems which are influenced by the oil temperature (cooler at the beginning of processing, particularly in the winter months). The machine features an energy recovery system (similar to that of electric and hybrid vehicles) and works on 11 axes and various jigs (female housing) with 28-30-32 diameter tubes. The machinery has the ability to obtain the same bends also by varying the tubes’ material, recognizing the elasticity of the steel employed. The system employs a closed clamp mechanism where the tube to be bent is pushed by its extremity rather than being grasped by its length in order not to negatively affect the material. Once the chassis components have been cut and bended, everything is ready for welding which at IPK is performed manually. The tubes are placed in a jig according to the model to be welded, then the specialized operator welds the chassis very carefully according to a well-defined sequence as, in fact, the order in which the welding is implemented influences the tensions that form. Although done manually, the operation, is executed through the use of technologically sophisticated welding machines which best manage power surges, regulate the intensity according to the distance of the torch nozzle from the chassis. The acceleration or slowing down of output of the welding wire depends on the operator’s hand movement so as to maintain the same amount of welding material deposited onto the tubes. Voltage and amperage are also automatically adjusted. Furthermore, the machine allows to regulate the pulsation: increasing the frequency, the arc becomes more concentrated, the narrower the bead is (welding material deposited onto the tube) and the welding speed increases. By decreasing it, the weld arc and the bead are wider, then the welding speed slows down. After painting it, the chassis is ready to be completed with all of the other accessories. 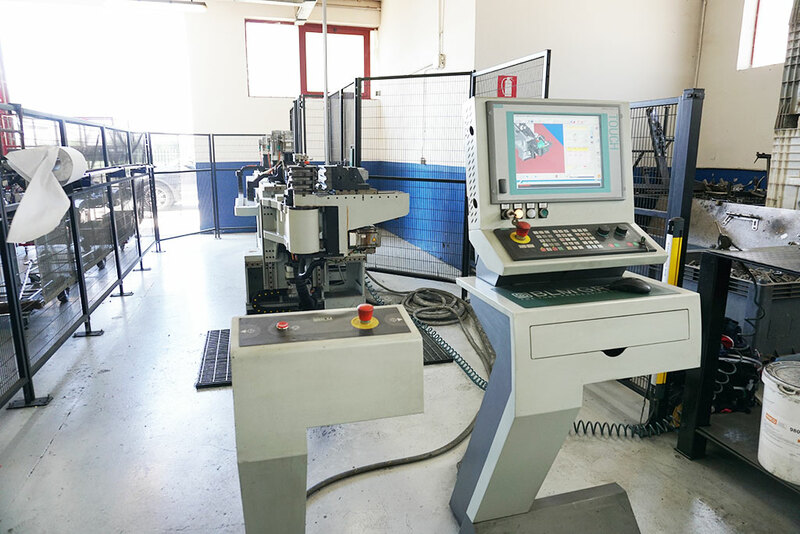 First, however, a careful check of all the measurements is carried out by specialized personnel: the control of the chassis dimensions on the test bench is one of the most important stages of quality control. The operator mounts on the bare frame the bearings, executes the alignment of the axle, mounts the gearwheel support, the hubs and the cast and camber adjustment system (CCS). Then, the braking system is installed, fastening the rear brake caliper and the front calipers (if the chassis is manufactured for the shifter categories) and connecting the pipes for the oil flow and the relative pump. The system is then purged. Then it is time for the floor plate with adhesive, the fuel tank and the stub axle. The seat is not mounted as it is chosen according to the driver, while the steering column is not assembled to the chassis due to the size of the shipping containers. At this point, all that is left to do is to put the pre-assembled chassis in the box along with all the accessories not mounted to the chassis, close the box up and ship it to the retailer.